Winter blues! At some point between May and August South Africans country wide need a break from winter. 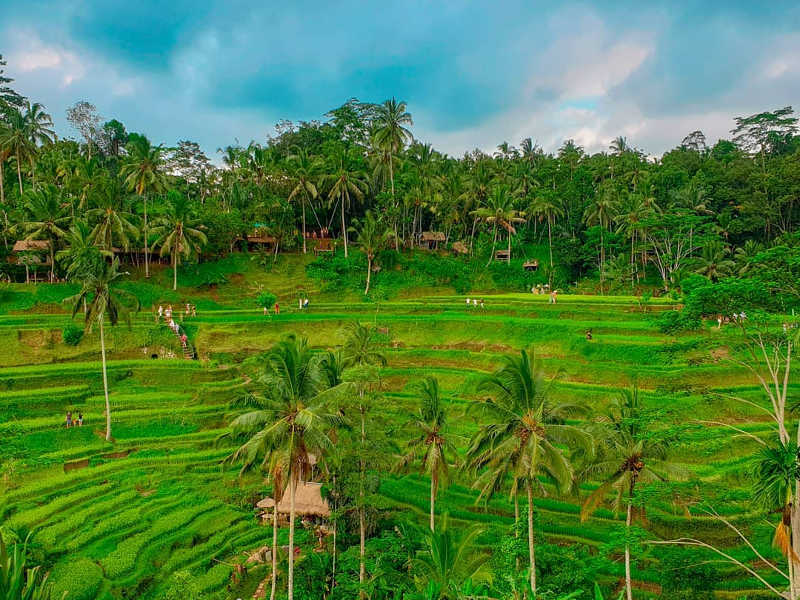 Yes, our winters are far warmer than many other countries in the world nevertheless a sunny escape from the chilly winds, gloomy skies and rainfall can make a big difference when you’ve hit that mid-year slump. 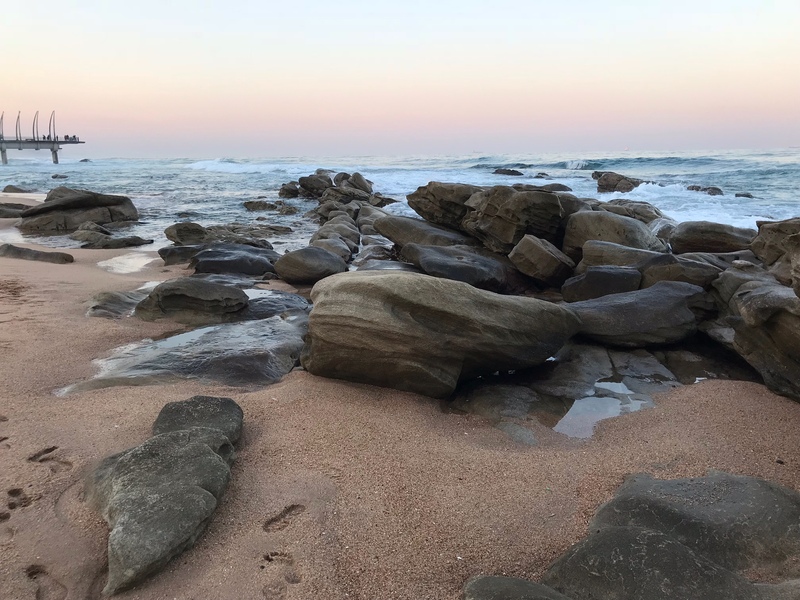 With Durban being a city known to be hot year round, there’s no wonder its beautiful resort town of Umhlanga is such a popular holiday destination in winter. It may come as a surprise, but you don’t have to be a beach bum to enjoy this coastal city. 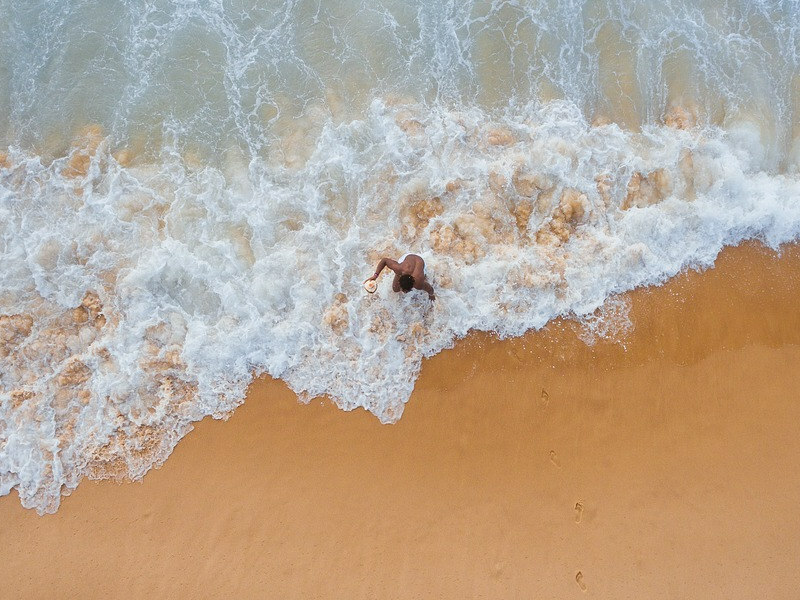 If you’re after some sunshine and a fun holiday vibe to escape the winter chills, then a Durban escape is just the thing for you. At this time of year Umhlanga, has crisp mornings and evenings but everything in between is T-shirt and flip flop weather. It’s makes packing a tad confusing so I recommend packing for summer with a side of winter. Simply put – layer up or down. 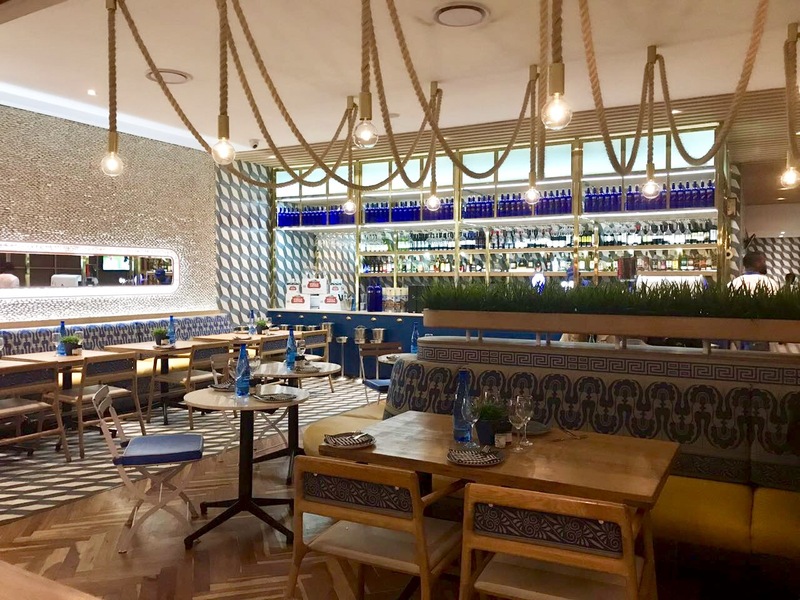 If you book quite a long Durban escape, maybe along the beachfront, then ninety percent of what you do will be in walking distance from your accommodation because everything is relatively close. 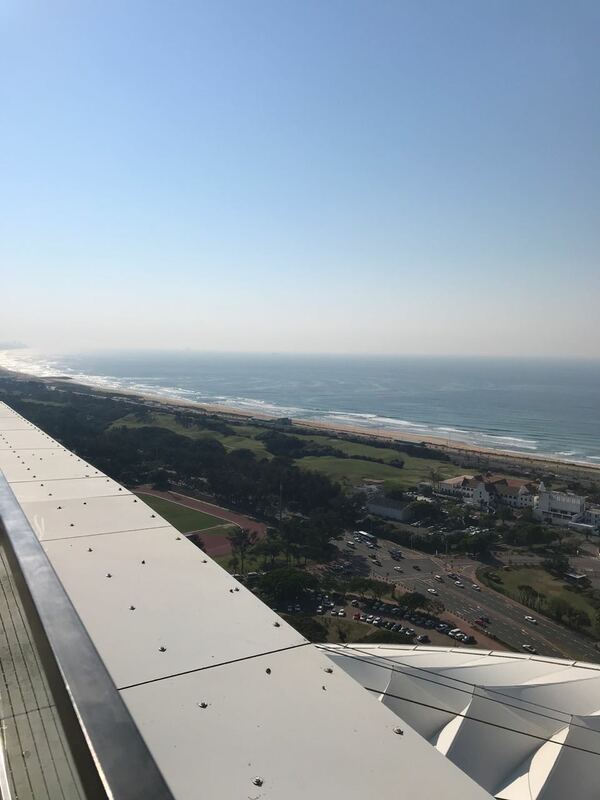 This is great from a budgeting perspective – flights and ground transport to and from the airport will be the most you’ll spend on getting around, everything else in Umhlanga itself you can get to on foot. Find great deals on flights to Durban. 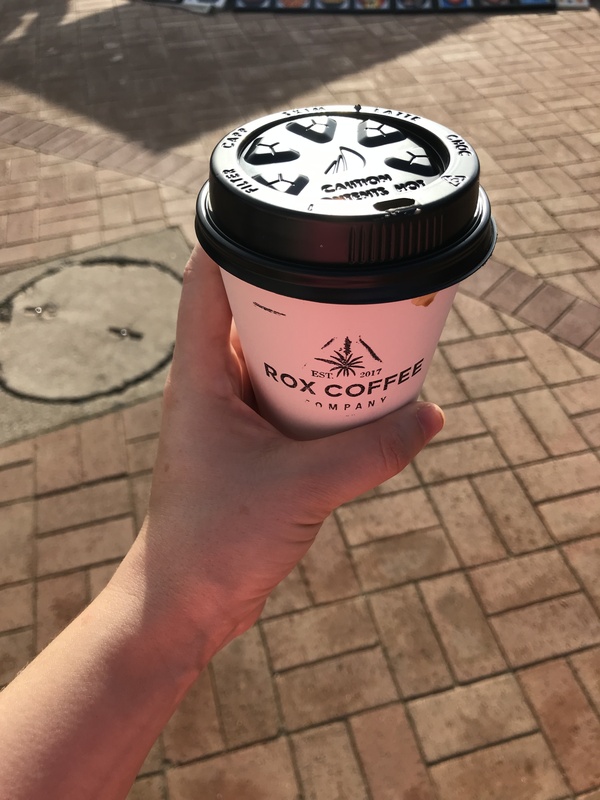 The beachfront is definitely where it’s all at, so be sure to bring trainers because morning walks along this strip are unavoidable, as are selfies on the iconic Whalebone Pier and flat whites at Rox Coffee Company both of which you’ll pass from whichever direction you’re walking. 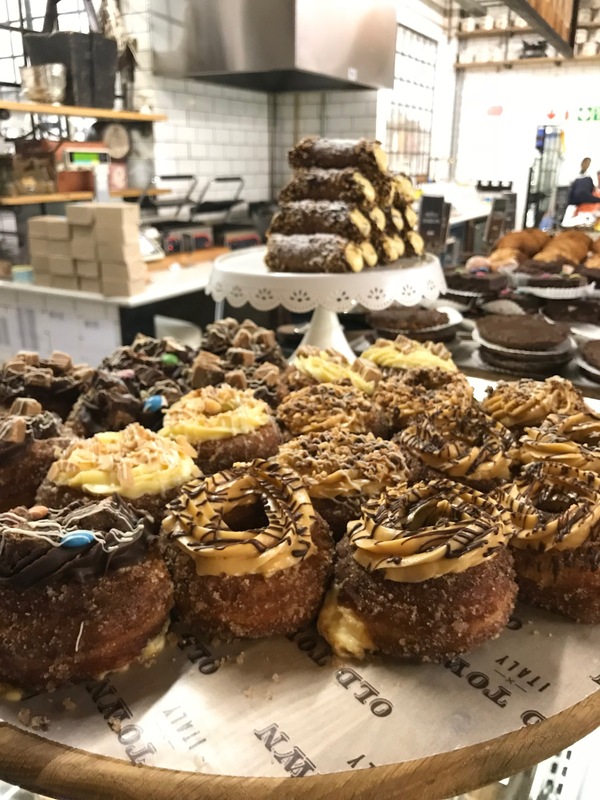 If you really want to reward yourself for a jog well done, save your calories for a bite of heaven aka Dinky Donuts, also along the strip. 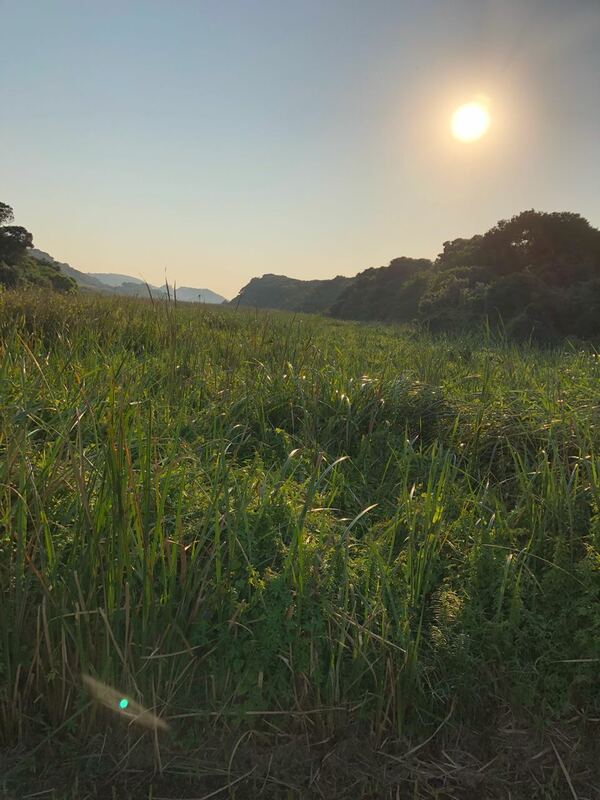 If you’re in search of an extended workout, you can hop on to the lush Umhlanga Lagoon Nature Trail which starts at then end of the strip and continues for approximately 2kms. Old Town Italy is similar to New York or Dubai’s EATALY. Having been to both its safe to say without any hesitation that Old Town Italy is right on par. 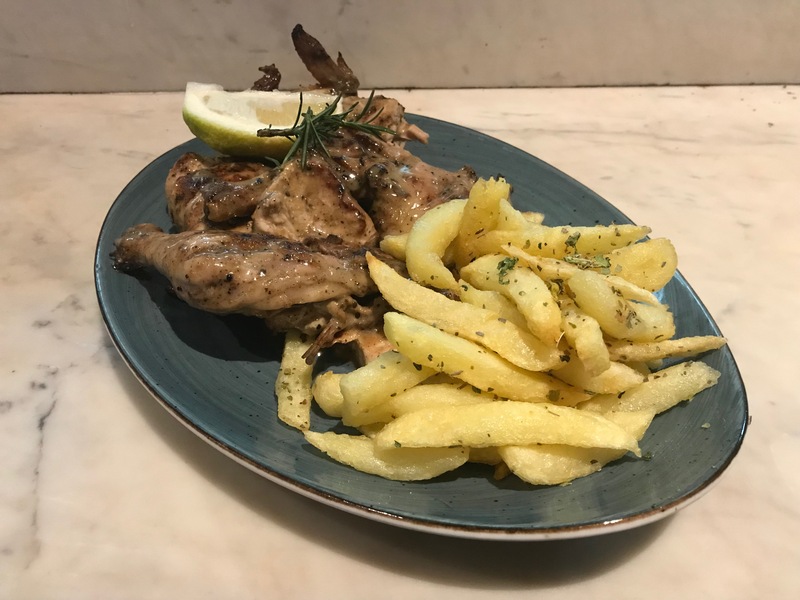 From gourmet breakfasts and delicious lunches that include an assortment of fresh salads from the salad bar or menu, pasta and pizza, to excellent coffee, exceptional pastries and freshly baked breads – we tried it all – each one is just as good as it looks. This is one Italian eatery you’ll want to experience at least once during your stay. Find it at 39 Meridian Drive Umhlanga Rocks. The Village, a quaint collection of buzzing streets lined with a great selection of restaurants is where you’ll find Mythos. This is one of those restaurants where the decor is as eye-catching as the food is tasty. 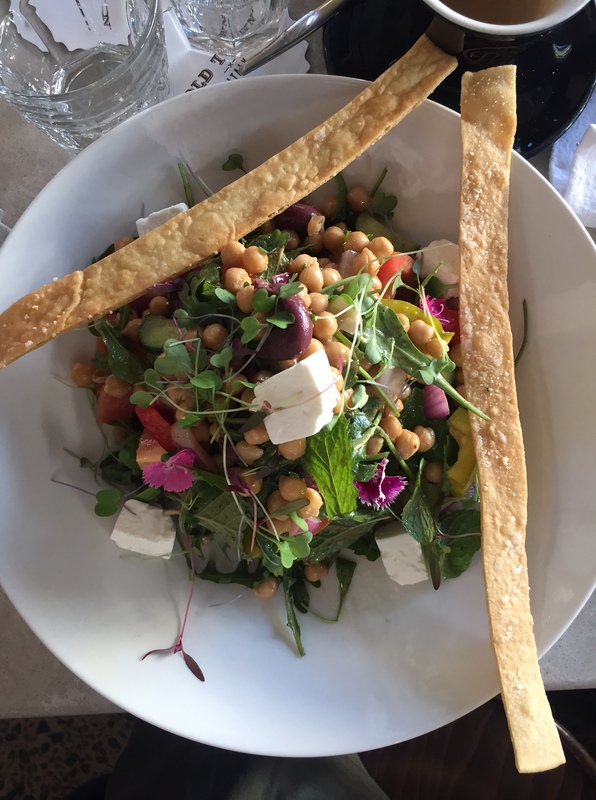 It’s the perfect spot for lunch or dinner with something for everyone including great vegetarian mezes (I would recommend the humus and falafel), healthy salads (try the The Village or The Greek) and excellent hot dishes too. This quirky Mexican joint is definitely worth the wait to get there. Based north of Durban about 15 minutes from Umhlanga, Four 15 Burrito District is a flavour fiesta. The photos speak for themselves. Try the Naked Nachos topped with incredible guacamole, the Angry Onions and Tacos – all were simply delicious. 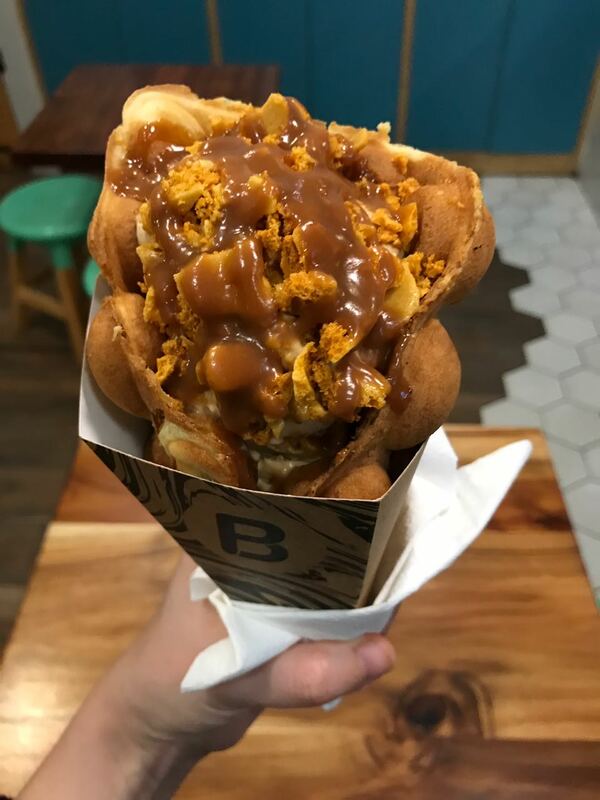 But make sure to save space for an out-of-this world dessert – a decadent Bubble Waffle at Plan B Dessertery next door. In search of brilliant coffee you’re bound to stumble across parts of a city you may not have otherwise seen. This is true to any destination you’re travelling to. In this case it was Florida Road. 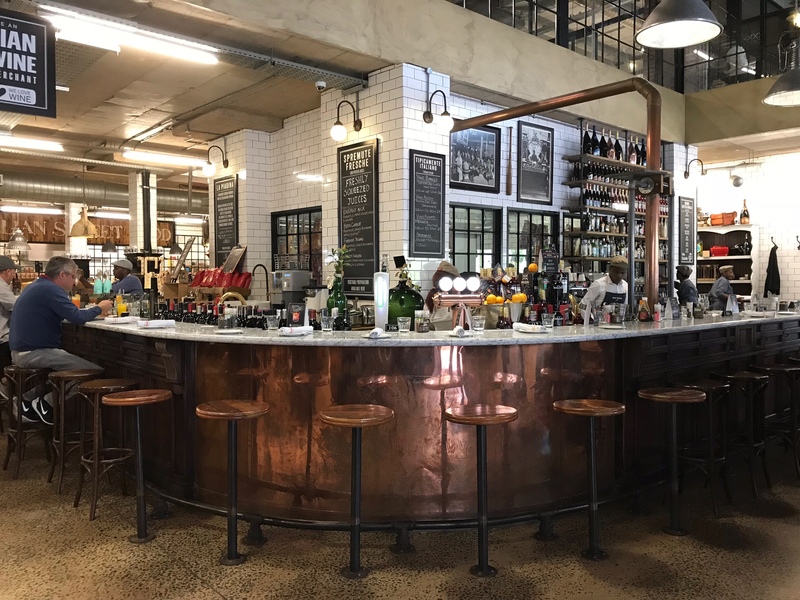 Traditionally known for its nightlife, Florida Road is situated in Morningside (close to the CBD) and has a wonderful laid back suburban feel by day. 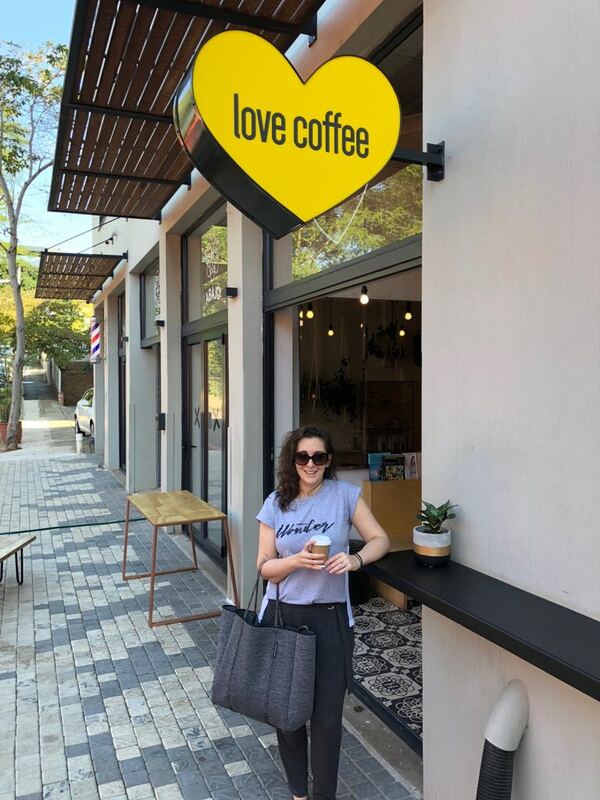 Coffee lovers will be in their element at Love Coffee, hidden away in the cutest little side road (281 Florida Road) you really could be anywhere in the world. Love Coffee serves the perfect Malawian Tanzanian blend. From there head south and make a left at Gordon Road where you’ll find Skyline Coffee Roasters (155 Gordon Rd). 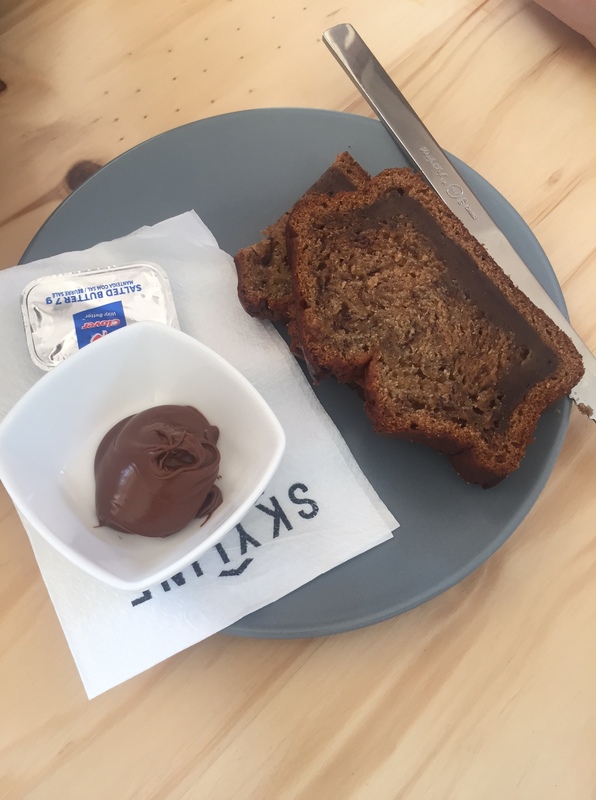 Break all the rules with an indulgent slice of Banana Nutella bread to go with a your coffee. If you’re in the mood for something savoury, right next door you’ll find Bunny Bar which serves a mean traditional curry. 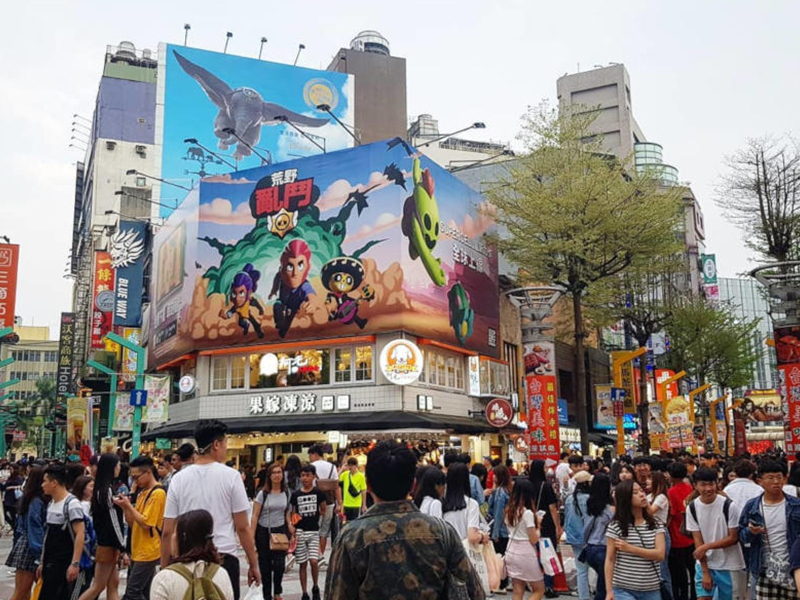 Adventure is a key experience to have on any holiday even if it’s in bite sizes. Not only does it make for the best storytelling back home but it’s usually the most memorable part the trip too. One thing you’re unlikely to do elsewhere in South Africa other than Durbs is see the city from above a sports stadium, let alone ride to the very top. 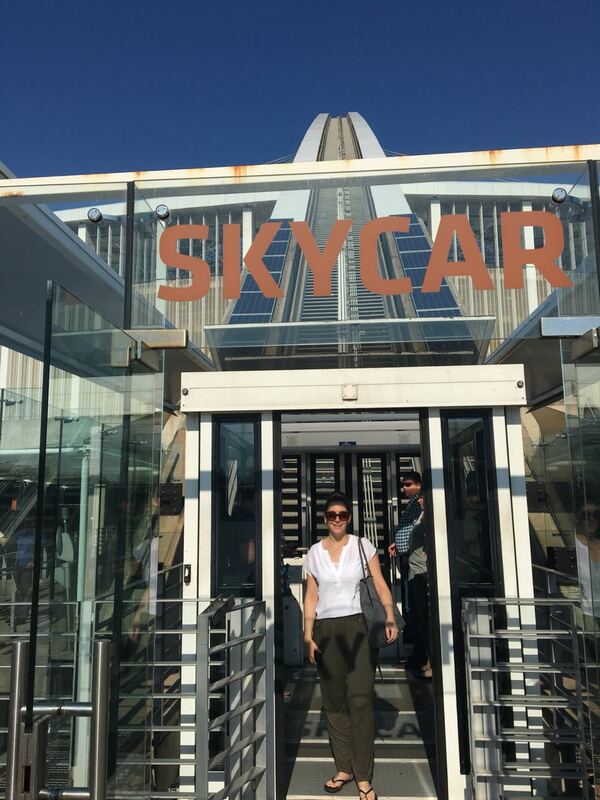 Take a ride in the Sky Car to the top of Moses Mabhida Stadium. From the ground you don’t quite realise how high you’re ascending, but about half way up the height hits you. When you get out at the top and see the hard-to-beat 360 degree views of Durban’s city and coastline, the ride up will have been worth it. Tip: The Sky Car won’t operate in windy or even breezy weather, so it’s best to call before you get there unless it’s a perfectly calm day. Some hotels offer a complimentary shuttle to the stadium so check this too before you go. 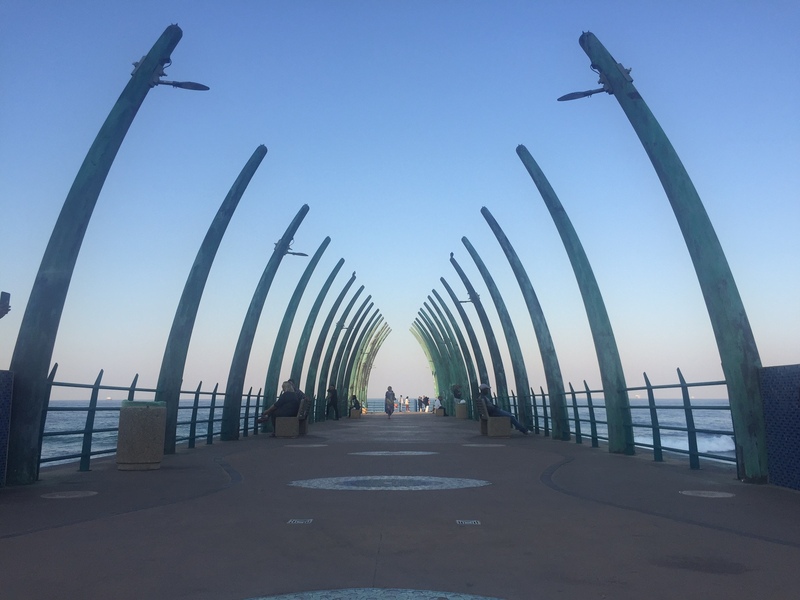 Have you been on a Durban escape recently? From Durbs? 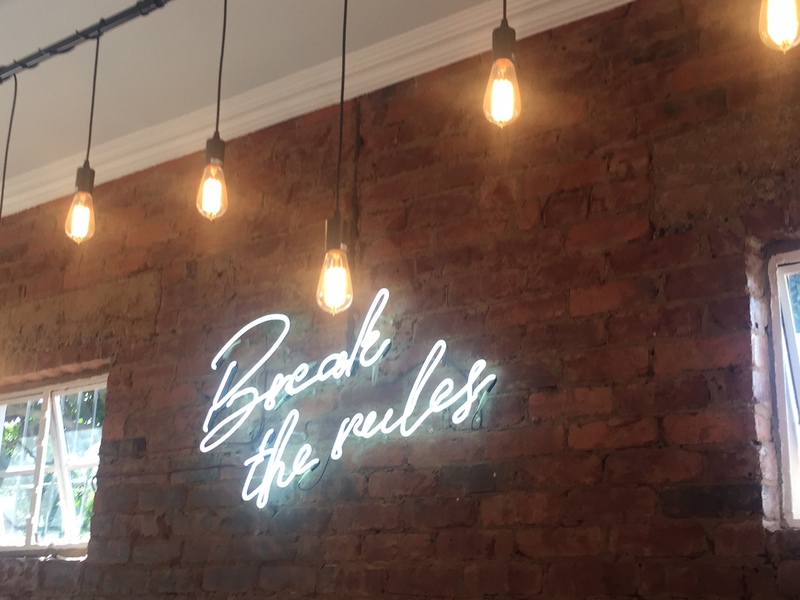 Tell us some of your favourites spots in the comments section below! Compare and book cheap Flysafair, British Airways and Mango flights to Durban with popular flight routes from Johannesburg to Durban and Lanseria to Durban. Thanks for the awesome comment and really happy to hear you enjoyed our blog! Hi there, check out Home Bru Graft Cafe in Umhlanga if you like coffee! Thanks for this info. Always up for a good cup of coffee. Will be sure to try it out. Can I have one of your consultants that I can talk with , I’ve got something that I waned talk with a person that I will know for further follow up about all that I wanted to ask from you . I will highly appreciate have one f you that I will all with. You welcome to e-mail info@travelstart.com with your query and our guest team will pass your e-mail onto the relevant team.